This easy-to-follow diy guide will help you to create your own beautiful napkin wrap place cards! If you need a unique way to guide guests to their seats, try our diy napkin wrap tutorial. Wrap these custom rings around your napkins for a place card and napkin holder in one! 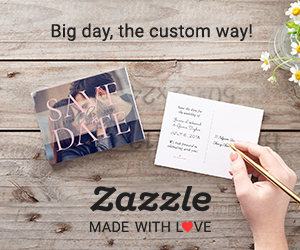 Our napkin wrap templates are ready to be downloaded, edited and printed…perfect for a savvy, style-conscious bride or groom. Cardstock – We love cardstock from Paper Source as well as Neenah Metallics Cardstock , found online and at most office supply stores! Purchase & download file(s) to a PC or MAC. Click in the highlighted text area. Click outside the text box & save. From here you can adjust the size of the text, choose your own font, and change font colors. Not for use on tablets, phones, browsers or in preview modes. Our templates can be printed on home and office printers or can be printed at copy shops such as FedEx Office and Staples. Be sure to always do a test print before printing an entire batch, so that you can be sure that the end result is excellent! Cut each napkin wrap on the guide lines using a sharp pair of scissors or a slide paper cutter . Most copy shops can cut the entire stack of prints at one time with a heavy duty “guillotine” paper cutter. This makes it much easier if you have hundreds of items to trim! Wrap each place card around the folded napkins and attach the ends with double sided tape . Share your creations on social media using the hashtag #crossvinedesigns and visit our blog for the latest DIY tutorials!